Rest Day 4/18/13: Where does the stroke end? Share! 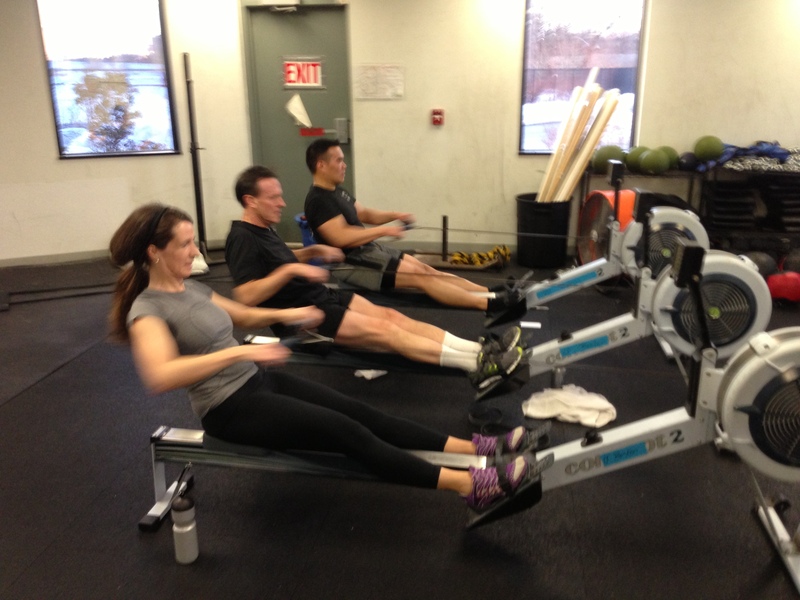 Find out more about the stroke at the CrossFit Rowing Course in Boston June 8-9! Where does the stroke end? When thinking about the stroke should there be any stops or starts? Does the handle and seat ever stop moving? If so where is it ok? Ideally the rowing stroke is a cyclical motion that is fluid and dynamic without end. When thinking of the finish you should be thinking of releasing the pressure on the handle and smoothly changing directions quick and clean. The only time the seat should pause is when you have pushed the legs down and are finishing the stroke. A stable base is needed to swing the arms and body through with power and rhythm. However, even as you swing forward to recover the seat will move a little bit as you push the hips backwards to prepare your body for the next catch. If you have time today, take 5 minutes to row in super slow motion feeling and thinking about the timing of the seat and hands. Your goal in developing an efficient stroke should be smooth, continuous motion without pause or hesitation. This entry was posted in Our Mission, Rowing and tagged functional movements, new sport, recruitment patterns, row 2k, rowing, sports, training by Renegade Rowing. Bookmark the permalink. Rowing with slides makes a huge difference. They allow you to have a more fluid rowing motion. On a static erg you have to change direction at the catch. Slides allow you to have that clean finish and help strength your hips and really use your legs at the drive. A better connection to the erg. That also depends on what type of shoe you workout in. I use a minimlist shoe and it makes for a great connection to the footboards. The slides the type of footwear and a concept 2 make for a great workout and the splits are comparable to a static erg.